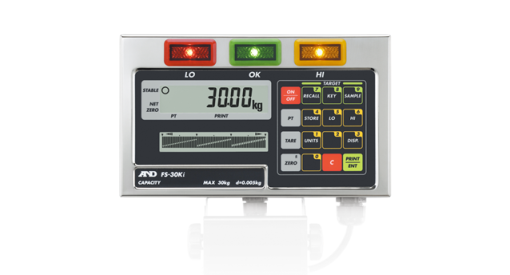 A&D Weighing’s wide range of high performance scales and controllers are common sight in many packing, processing, manufacturing, and bulk handing industries. Our most popular indicators include the AD-4406, AD-4407 and the IP69K waterproof SW Indicators, which offers a wide range of functionalities for a diverse array of applications including simple weighing, check weighing, batch weighing etc. Browse through our range below to find an indicator that’s right for your application. The High-Performance Digital Filter provides high accuracy/high speed weighing in environments with vibration problems. It greatly reduces the costs and maintenance required for anti-vibration equipment since it copes with vibrations without requiring many mechanical measures. What's more, conducting weighing while applying vibrations, once an extremely difficult task, is now possible. 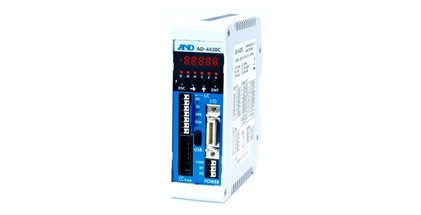 The AD-4541 Analog Signal Conditioner device will accept an analog (mV) input from a sensing device such as a load cell, pressure sensor, strain gauge etc and convert it to an output control signal in the form of a voltage (-2v to +2v) or a current (4 to 20mA). The A&D trade approved AD-4402 is a highly intelligent batching indicator that is fully configurable for any application. 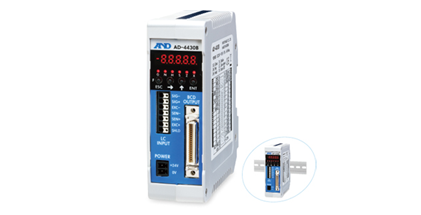 The AD4402 features recipe and mixing modes and will integrate with all fieldbus systems. The FS-D indicator comes with a desktop/wall mount bracket and a connector plug and can be used with many scales (including non A&D scales). This indicator hass IP65 rating for use in wet areas. IP69K indicator - With its high grade dust and waterproof design, this indicator is suitable for heavy-duty, high-pressure cleaning. With an easy to use desktop / wall-mount stand, a touch sensitive screen and robust design this indicator provides ultimate protection against the effects of condensation.